Sodastream provided me with a demo soda making kit along with an array of flavoring bottles in return for an honest evaluation, and my family absolutely loves it. Here are several reasons you’d enjoy having one, too. You can help the environment by using fewer bottles and cans, many of which still end up in landfills. According to the EPA, 32 million tons of plastic waste were generated in 2012. Only 31 percent of PET bottles and jars were recycled in 2012, with just 9 percent of overall plastic waste recovered for recycling. Many of SodaStream’s drinks contain fewer calories and a lot less sugars than juice or regular soda. They accomplish this by substituting a no-calorie sweetener such as sucralose (Splenda) for part of the sugar, so drinks may contain 25 to 35 calories per 8 ounce serving instead of 100 or more. The more standard soda flavors like cola and lemon-lime (which tastes like Sprite) do contain normal calorie amounts in the 100-per-serving range, so you’ll need to check labels if sugar is a concern. Even the sugar-sweetened varieties shun high-fructose corn syrup in favor of real sugar. Many folks try to avoid high-fructose corn syrup in favor of genuine sugar for their families. 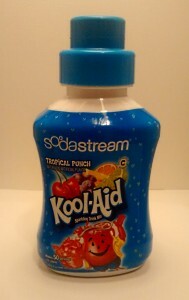 The SodaStream device is so easy to use that even a 10-year-old can make soda with supervision. The SodaStream is a breeze to put together, too – you can start making sodas in less than 15 minutes. Each one-liter bottle of soda takes less than 5 minutes to make. SodaStream doesn’t use batteries or electricity. You can easily take it to a pool, park or beach party or even to work for a potluck lunch. It also takes up very little space on your counter or in a tote bag. You’ll have no problem keeping soda flavors on hand without taking up tons of shelf space. Always have ginger ale around for when someone in the family has a sour stomach. Keep root beer (or diet root beer) in the pantry for the next time you’d fancy a delicious root beer float. SodaStream offers so many flavor options that you’re bound to find a few favorites for each family member. SodaStream bottles cost so little and have such small footprints that you won’t mind keeping everyone’s faves on the shelf. 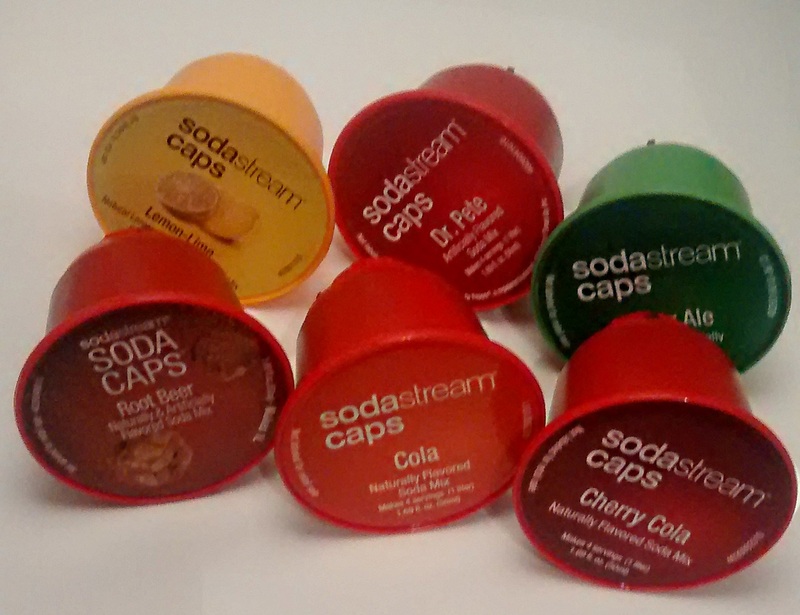 SodaStream not only offers low-sugar sweetened flavors and all-sugar-sweetened ones, but numerous yummy diet drinks as well. You can choose standard soda flavors like diet Dr. Pete, diet orange, diet lemon-lime, diet root beer, diet ginger ale and diet cola (both with and without caffeine), or try their tasty Crystal Lite calorie-free flavors, including lemonade and peach iced tea. SodaStream even has generously caffeinated diet “energy” drinks. You’ll never need to lug home cases of cans or heavy bottles of soda again. Each SodaStream flavoring bottle weighs very little but makes roughly the amount you’d get in 33 cans of soda. SodaStream saves you money over buying bottles and cans of soda. Each SodaStream bottle, usually costing less than $5, makes the equivalent of about six two-liter bottles of soda. This comes out to about 83 cents per two liters of soda, less than half the regular price of buying soda at a grocery store and even less than Walmart’s price of two-liter soda bottles.